Why does different coffee taste so different? HomeBlogWhy does different coffee taste so different? One of the greatest things about coffee is the myriad of ways you can enjoy it, simply adjust the way you brew and the taste instantly transforms. Why does different coffee taste so different though? It’s actually part ingredients, part science. A key part in why our coffee tastes different is undoubtedly the origin of the beans. Each growing region on the planet (and there are a few) helps give our coffee specific traits or characteristics that therefore enhance the flavour profile. For instance, Kenya, a popular growing region for coffee differs in climate to Sumatra, another popular coffee growing region. But what differentiates the commonly consumed World coffees? Easily the most recognisable of the ‘big’ coffee producers, that is mainly due to the sheer scale of Brazilian coffee growing and exporting. The size of the nation and the climate lends itself well to a wide variety of coffee bean output. 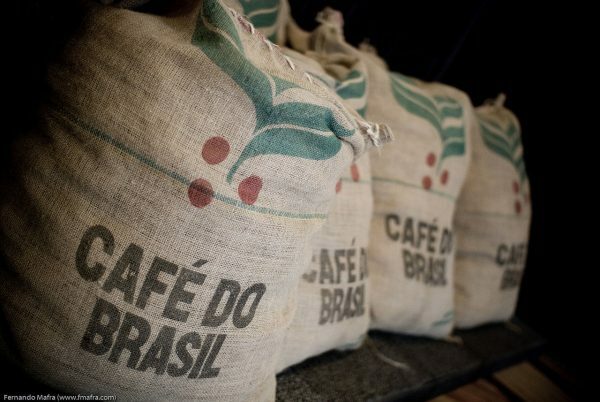 Brazilian coffee tends to be processed in three ways: dry (natural), wet (washed) and semi-washed (pulp natural). Dry processing sees the coffee being dried whilst still within the cherry, whereas the wet process sees the bean stripped from the cherry before being dried. Pulped natural processing is done by pulping a coffee, but emitting the fermentation stage to remove the skin. Key flavours found within Brazil’s coffee tend to be chocolate, spices with some having a pronounced nutty quality and heavy body which makes them a common component within espresso blends. Kenyan growers and farmers often favour the wet processing method, this ensures that their coffee is of the best possible quality. Almost all Kenyan coffee is grown directly in the sun, this means that the beans have what can be considered a savoury and sweet taste, sometimes likened to tart blackcurrants or a tomato-like acidity. Commonly referring to coffee grown in both Guatemala, Costa Rice and Honduras, this lesser publicly known growing location is one of the biggest producers of the coffee we all commonly drink. 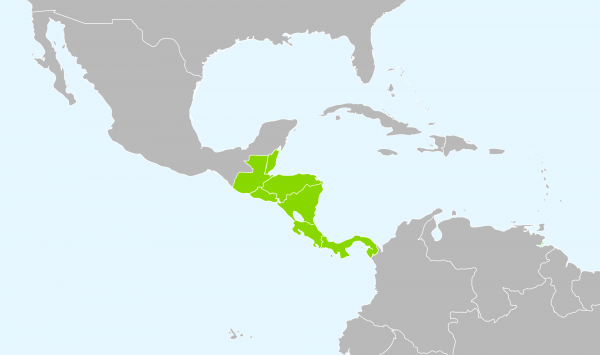 Less commonly associated with coffee, the Central American region accounts for a vast proportion of the coffee we drink, being one of the largest global suppliers of coffee. In terms of flavour profile, Central American coffee is known for providing a bright, clean taste that exudes common flavours that provide the backbone for the coffee blends we all know and love. You can expect fruity, nutty flavours alongside cocoa and spicy notes, for a refreshing brew. South America = coffee for most of the globe, and with good reason, possibly the largest global producer of coffee on the planet, the South American coffee heritage is the most recognisable. Colombia is often instantly associated with quality coffee, and rightly so, the nation is the world’s third largest grower and importer of the raw beans. The popularity and availability of this South American variety mean that it has become synonymous with the taste of quality coffee. Processed more often than not via the washed method, this leaves a clean cup that exudes a mellow acidity that includes hints of nuts, chocolate and caramel for a rich drinking experience. Accounting for approximately 3% of the global coffee market, Ethiopian coffee has grown in both prominence and stature over the past few decades. Production of coffee in Ethiopia has a longstanding tradition, this should come as no surprise as the nation is where Coffea arabica, the coffee plant originated. Two processes are often used with this Ethiopian variety: natural or washed. This creates two distinctly different flavour profiles from the very same sourced beans. These washed coffees can often appear to have hints of lemongrass and jasmine, providing a lighter taste on the palate. Naturally processed Ethiopian coffee is renowned for providing a much more syrupy, sweet berry flavour profile. With such natural biodiversity, Ethiopia has to be considered as its very own coffee category such is the wealth of quality Arabica. The fourth largest producer of coffee in the world, Indonesia accounts for the vast proportion of Asian coffee production. 25% of this production is focused on Arabica beans, with the remaining 75% accounted for as Robusta. Almost all coffees from this lush growing region feature dark and deep flavours, producing coffee that contains heavy, musty notes much like dark chocolate. Because of these inherent traits, Indonesian coffee and in particular Sumatran grown beans, take well to dark roasting. Complex and gaining in popularity, Indonesian coffee is slowly increasing as the base for countless world class blends from roasters around the globe. Each variety from each nation or region has specific characteristics that react differently depending on how the coffee is brewed, serving and prepared. A classic example would be how Colombian coffee is seen as ‘catch-all’ coffee, perfectly fine in espresso form, filter and freeze-dried variations, enjoyed by drinkers all over the world. Tasting each type can be daunting if you feel that your palate is not refined to taste the differences, but we suggest giving each blend or single-origin a taste to find a coffee that you enjoy. Which leads us to our next point, the effect of milk on flavour profile. Synonymous with the 21st Century coffee drinker, milk based coffee drinks are likely to be amongst the biggest sellers on in any coffee shop. 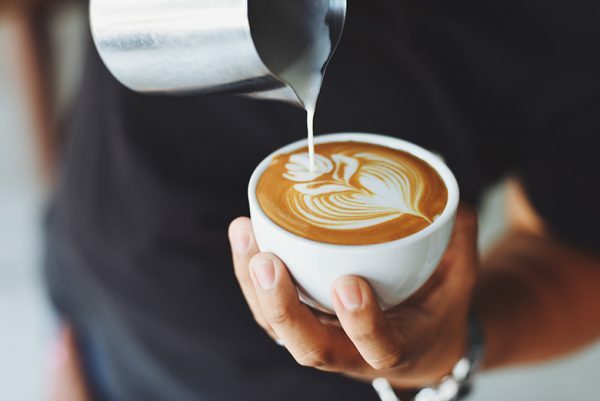 For those that choose a latte or cappuccino over an Americano, it’s important to understand how milk affects the taste of our coffee, and that in reality choosing a blend just based on the taste of espresso could be lead to major problems when you add milk. Key to the milk we drink are a few components that affect the taste and consistency, for the purposes of this when we refer to ‘milk’ we are referring to whole milk. Milk does have an effect on the taste, texture and look of your coffee, and a high milk to coffee ratio can mellow-out the intense espresso flavours found in your quality beans. Milk fat – on average cow’s milk is made up of around 4 to 5% fat. But this isn’t just any ‘fat’, it’s a complex combination of various types of fats. Milk proteins – often not found in dairy alternatives, the amount of protein within milk dictates how good the bubbles of microfoam is when milk is steamed/foamed. We are often spoiled for choice in the coffee industry, with each coffee comes a great deal of flavour nuance and personal taste will have a major effect on popularity. So whether it’s a quick Americano or a smooth latte, try as many coffees as you can to get a true taste of the world in each and every cup. If you haven’t already tried our signature coffee, then be sure to try our ultimate all-rounder, Super Crema, which blends some of the finest Arabica from Honduras, Ethiopia, Uganda and India to create a rich, bold Southern Italian style coffee that tastes superb in a range of milky drinks and even a simple espresso. For those that prefer a quality single origin, then the Colombian COSURCA Arabica could be right up your street (not literally of course! ), with a light, citrusy, medium-bodied flavour that makes it ideal for Americanos and espresso.